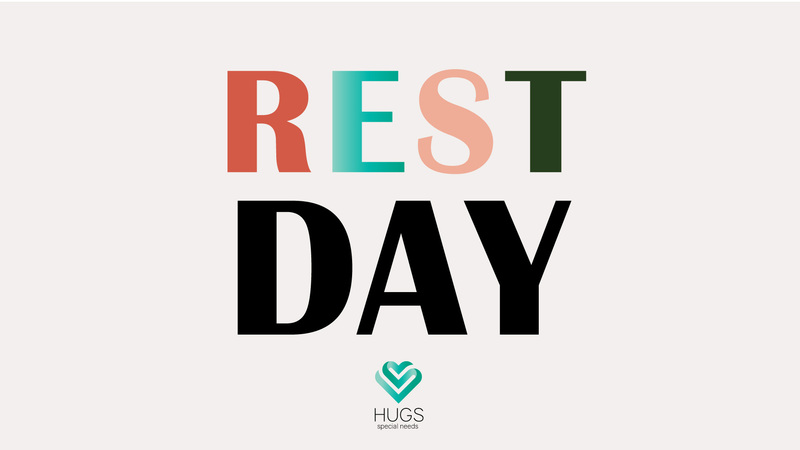 HUGS Rest Day provides parents and caregivers an opportunity for a much-needed break from everyday life and from caregiving responsibilities. While you enjoy some rest, we plan an afternoon full of FUN for your son/daughter! HUGS Rest Day is offered for individuals 3+ years of age, and their siblings. These days often fill up quickly, so please sign up promptly if you are interested. Hey volunteers – help us give parents & caregivers an afternoon of REST! Groups: These volunteers serve in groups alongside friends with disabilities. They’re equipped with activities and games to help make a meaningful experience. Some are paired as a 1:1 buddy. Siblings: Siblings have unique joys and challenges in their families, so we create a space to intentionally invest into them as well. Some of our volunteers will serve with these elementary-aged siblings. Activity Rooms: These volunteers execute the fun by facilitating games and activities. Volunteers are needed from noon – 4:30. We will provide lunch and a brief training for you. Thanks for helping us make a difference for our HUGS families!